The Cross County High School EAST program spoke to members of the Wynne Rotary Club Wednesday afternoon. 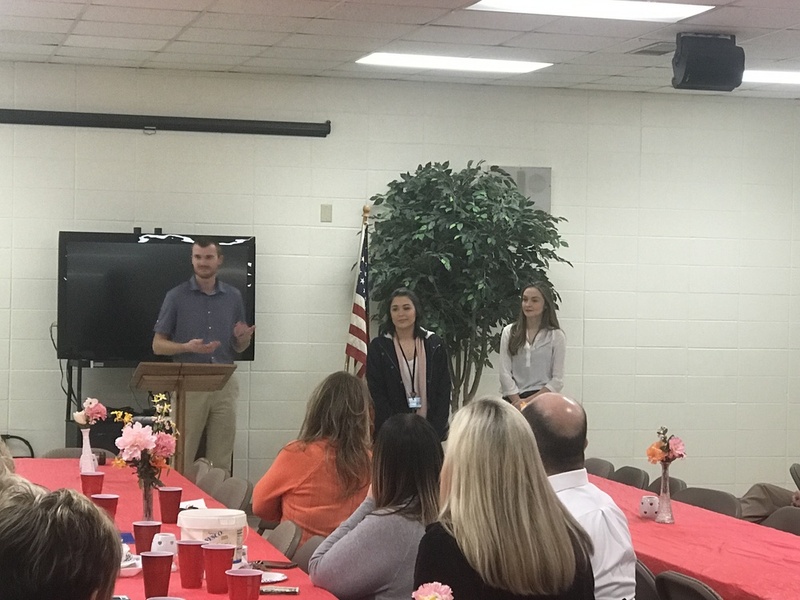 Senior Destiny Edwards and Junior Valerie Chapman accompanied third year EAST facilitator Mr. Jason Blake and Cross County School District Superintendent Mr. Nathan Morris to the meeting. Destiny and Valerie presented several EAST projects to the Rotary members and answered questions about the program. The EAST program is capable of 3D scanning, 3D printing, live streaming events, designing advertisements, animation, mobile app and website creation, audio production, and other technology and sophisticated activities. EAST Facilitator Mr. Blake hoped that the presentation would both educate Rotary members about what EAST is and build potential partnerships with Rotary members and the EAST program. EAST at Cross County is seeking new community partners and clients and hopes Wednesday’s meeting along with the presence of Cross County alumni and employees in the Rotary will help make these connections. The Wynne Rotary has been meeting for 93 years and is a local club helping its members lead and serve their community.